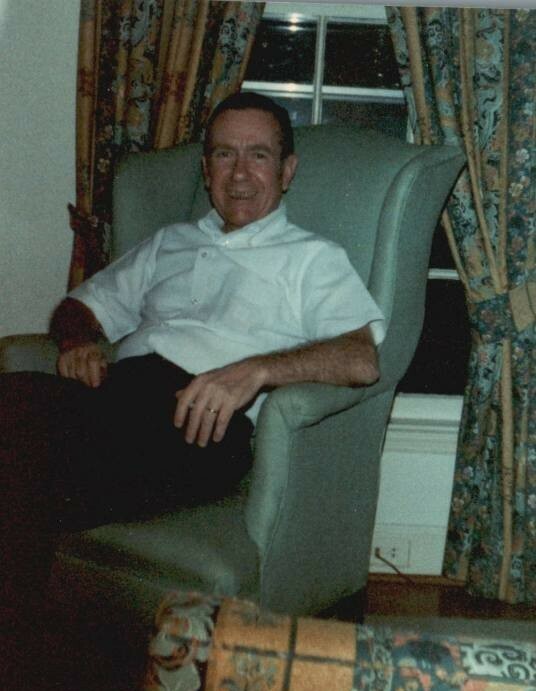 William Leach Frostick died Friday, February 8, 2019 at Morrison Manor in the care of Hospice. A memorial service will be 11:00 a.m. Tuesday, February 12, 2019 at McDougald Funeral Home Bumgarner Chapel, officiated by Rev. Dr. Terry Hunt. The family will receive friends immediately following the service and other times at 410 Forest Road, Laurinburg, NC. Frostick, whose affectionate nickname was “Woody”, was born March 2, 1932 in Maxton, NC. He was the son of Fred and May Seabolt Frostick. He was a graduate of the North Carolina School of Pharmacy in Chapel Hill. He served in the United States Navy, attached to the Marine Corps. Frostick was a devoted member of Alcoholics Anonymous for more than 40 years, citing its life changing attributes. He is survived by his wife of 61 years, Betty Frostick of the home; a son, William Leach Frostick, Jr. and his wife, Christine Siedsma; a daughter, Anne Perkinson and her husband Kenneth; two grandsons, Rick and Brandon, their wives, Stephanie and Lindsey; and two great grandchildren. He is preceded in death by his mother and father; his brother, Fred; and a sister, Helen. For those desiring, memorials may be made to First United Methodist Church, 101 West Church Street, Laurinburg, NC 28352 and Scotland Regional Hospice, PO Box 1033, Laurinburg, NC 28353.